The Greens is a joint-venture by The Runwal Group and HDFC Portfolio Management Services. 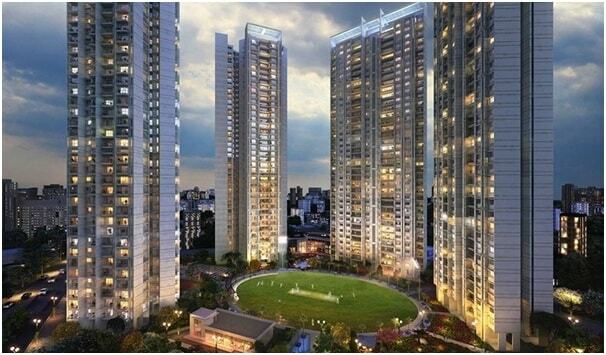 The Greens project is being developed as a residential complex in Mulund West, Mumbai. It also includes "R Galleria" which is a shopping complex within premises. It has 2 BHK, 2.5 BHK, 3 BHK and 4BHK apartments that are being constructed spread over 22 acres of area.The project is well equipped with all the basic amenities to facilitate the needs of the residents. Runwal Greens Mulund is a definitive in high-luxury residential living. With 7 acres of open space for greenery & total space it will be covering is 22 Acres of land with world-class clubhouse, lifestyle amenities, clear views of hills & creek and location advantages, it offers a complete bouquet of luxury lifestyle. Runwal Greens is a project being developed as a residential complex with convenience shopping. Residential complex alone with convenience shopping. The Greens compromise of 8 majestic towers& each tower consist of 29 Floors where we can have a choice of 2 BHK(1050 Sq.Ft), 2.5 BHK(1300 Sq.Ft), 3(1550Sq.Ft), 3.5(1725 Sq.Ft) and 4 BHK(1950 Sq.Ft) luxurious flats. The Greens by Runwal Group is situated in one of the fastest growing locations in the central suburbs - "Mulund" this offers huge lifestyle choices in the neighbourhood and smooth connectivity to all parts of the city. Mulund is a super-prime area offering the perfect combination of a strategic location, great connectivity to business and commercial hubs. In close proximity to Mulund railway station is few minutes away from check-naka.The location has attracted some extraordinary brands & continues forth superlative realty investment opportunities.It easilyconnects Eastern Express Highway, LBS Road, Mulund-Goregaon link road, Thane, Navi Mumbai and the Island city. Runwal Greens By Runwal Group is located next to Fortis Hospital, Goregaon-link road, Mulund west, Mumbai. * Badminton, basketball, squash, tennis courts are all within the complex of Runwal Greens. * CCTV & high tech security system. * Grand entrance lobby with double height. * Power – Back up for essential and common area etc etc. * Imported Marble flooring in living room. * Utility area in each apartment. * Polished granite kitchen platform with branded SS sink and service platform. * Wooden laminated flooring in all bedrooms. * Full height designer tiles in all bedrooms. * Vitrified flooring in Kitchen. * Plastic emulsion paint with gypsum. * High end CP fittings and sanitary ware American standard or equivalent & many others…..
Schools: - Sri Ravishankar Vidya Mandir, Brihanmumbai Municipal School, Lil' Dazzlers Pre School, SSRVM School, St Mary Convent High School. Movie Theatres: -Shree Krishna Cinema, Carnival Cinemas, Jawahar Talkies, Adlabs Cinema Hall. Railway Stations: - Mulund Station, Nahur Station, Bhandup Station, Kanjurmarg Station, Thane Station. Hospitals: - Apex hospital, Fortis Hospital, National Hospital, Atul Lok Hospital. Shopping Malls: -D-Mart, R-Mall, Nirmal Lifestyle, Neptune Magnet Mall, The Dreams Mall. Bank/ATMs: -ICICI Bank ATM, Bank of Barod ATM, United Bank of India, Saraswat Bank. Restaurants: - Food Sagar Family Restaurant, The Food Studio, Cafe Cabana, MCDonald's, City Treat Restaurant. 661 sq.ft. - 1017 sq.ft. 696 sq.ft. - 1835 sq.ft. 403 sq.ft. - 787 sq.ft.